With a background in High Energy Physics (Ph.D. at Imperial College London, UK), Gianfranco has been involved in delivering Grid computing services to HEP communities since 2004, with involvement in EGEE and EGI. 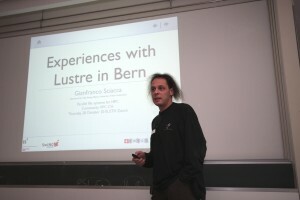 More recently, at the Albert Einstein Centre for fundamental Physics at the University of Bern, his effort has focussed on the operations of the distributed computing infrastructure for the ATLAS experiment at the LHC. He also holds a role as Operation Manager for the Swiss National Grid Initiative (NGI_CH).